Barbara joined the police in 1989. 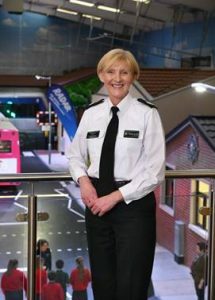 She is currently the highest-ranking female officer in the Police Service of Northern Ireland. Barbara has considerable operational experience and is a nationally qualified Public Order Commander, Firearms Commander and Multi-Agency Incident commander. Barbara has also completed several academic courses in recent years. She has a considerable range of experience, having served in many areas across Northern Ireland including Tyrone, Fermanagh, Antrim, Ballymena, and the Co Armagh, Newry and South Down area. Barbara also spent three years as Operations Manager in North and West Belfast during some of the most unsettled times in recent years. Barbara successfully qualified from the national Strategic Command Course in 2016 and was the first woman appointed as Head of Specialist Operations Branch in the Crime Operations Department. She has been Temporary Assistant Chief Constable since February 2017. Her current responsibilities include public-order policing, armed response, roads policing, training and development, operational policy, data protection, information security, and statistics. She chairs the Youth Champions forum for PSNI and has initiated a Positive Action Group. She remains committed to a community-based model of policing and is an ambassador for the Northern Ireland Community Foundation. Barbara likes watching most sports and keeping fit. Do you have a female role model who has inspired you in your career? There has been no single, specific person that I can identify. I am constantly inspired by the people I meet at home and through work. There are victims and witnesses of crime who have shown unbelievable courage; friends and colleagues who have faced life-changing conditions, and many others who just do good things and brighten my day with a kind word and a smile. What has been your defining career moment? 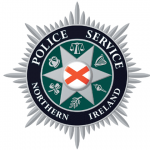 I have been incredibly privileged to represent PSNI at many levels. However, one of my defining moments was several years ago when a woman approached me at a Women’s Aid event and explained how developments in the police’s (and partner agencies’) approach to dealing with domestic abuse had changed her life. She had been provided with the courage and support to leave an extremely abusive relationship. She explained that despite the violence, her partner had never ‘allowed’ her to wear jeans. I had led on developing the protocol, and my conversation with this lady really demonstrated how we can impact people’s lives. What advice would you give your 18-year-old self (or any young woman reading this)? Seize the moment – recognise an opportunity when it presents itself to you; believe in yourself, be bold, and go for it. Tell us one surprising fact about yourself. I have been in this post for more than a year now, and I hope that I have an opportunity for that to become permanent in the not-too-distant future. In the meantime, I love what I am doing and am happy to continue. Policing offers so much variety; you never quite know what is around the next corner!